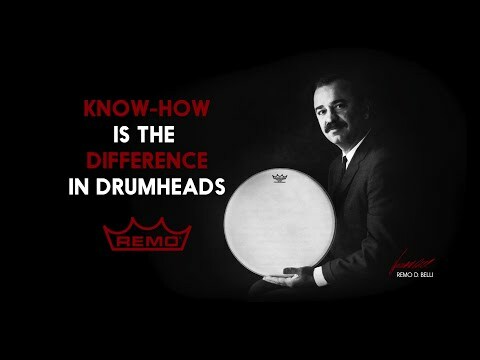 Remo Clear Emperor Drumheads are extremely durable dual-ply drumheads, notably the brightest sounding multi-ply heads in the Weatherking series. Made from two free floating 7 mil Mylar plies, Remo Clear Emperor Drumheads sound bright and open, great for seperation between drums. In addition, tonal output and response is very consistent over any velocity. Notable players of these skins include Chad Smith of Red Hot Chili Peppers and Taylor Hawkins of Foo Fighters, showing how popular Remo Clear Emperor Drumheads are within rock music, although that’s not the only application they can be used for. Just as popular in pop, R&B and just about any other genre of music, these drumheads are truly professional level equipment and can be seen and heard on many stages and recordings. This model is a batter head variant for snare and toms. Other models in the Remo Clear Emperor range include bass drum and snare side heads.